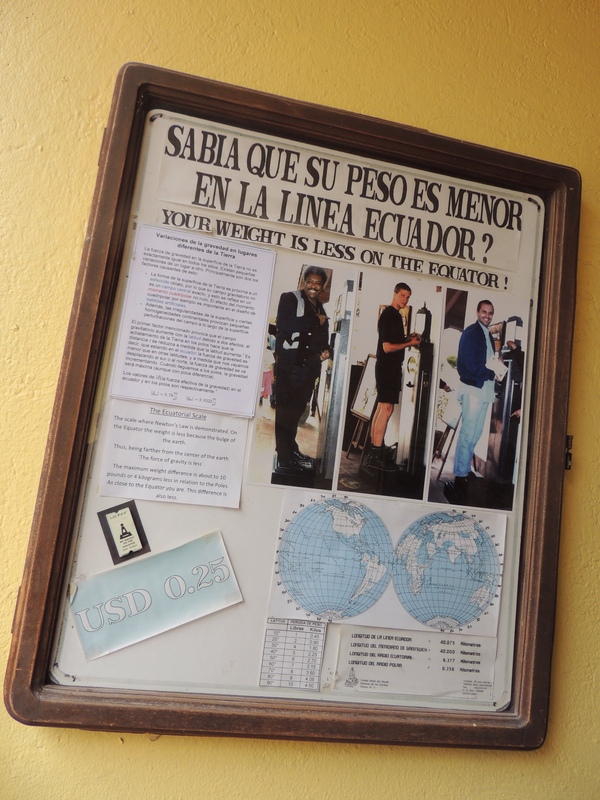 Did you know that you weigh less at the equator? 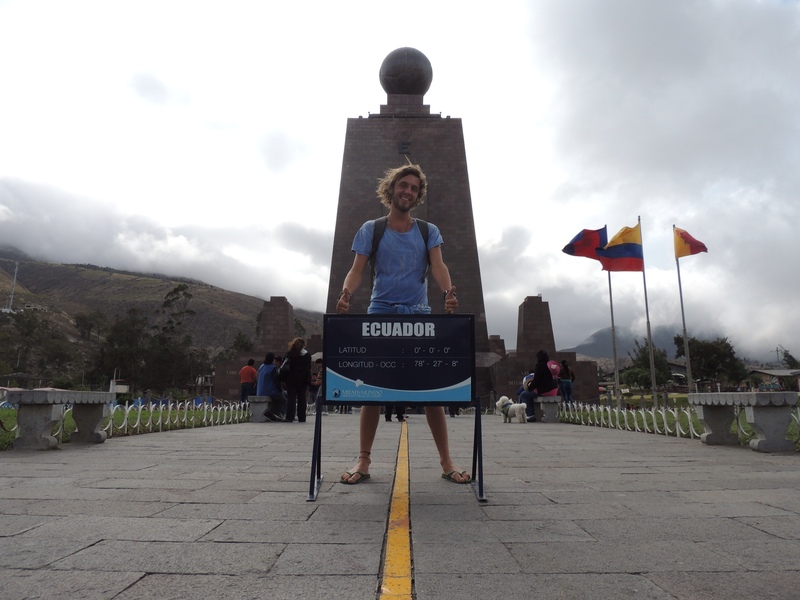 I can describe my excitement to visit the equator as nothing more than what felt like a childish urge. I had pictures in my mind of a big line, drawn across the concrete, and me jumping across it shouting, 'Southern hemisphere! Northern hemisphere! Southern hemisphere! …'. To be honest, that's pretty much exactly what happened. The Ciudad Mitad del Mundo, or, 'middle of the world city' sits in 47km from Quito's centre in its sprawling north and, like anywhere outside of the city centre, is a lengthy commute via metro and bus if you want to do it the cheap way. The city itself is almost a miniature theme park, including a superb ethnographic museum, planetarium (in Spanish only) and exhibitions and galleries dedicated to international explorers. The monument marking the equator, central to the park, was last rebuilt between 1979 and 1982 to commemorate the 18th Century French Geodesic Mission which set out to measure the roundness of the earth and degrees of latitude at the equator. Venezuelan party games at the equator. Unfortunately for me, our enthusiastic 18th Century French explorers didn't have access to Google Earth. In fact, it wasn't until 2007 that the Quitsato Sundial was constructed exactly 244 metres north of the existing monument to mark the real equator. I didn't find out about that until I got back to my hostel. Nevertheless, the museums and attractions made for a worthwhile afternoon of sightseeing and pincha (kebab) eating. 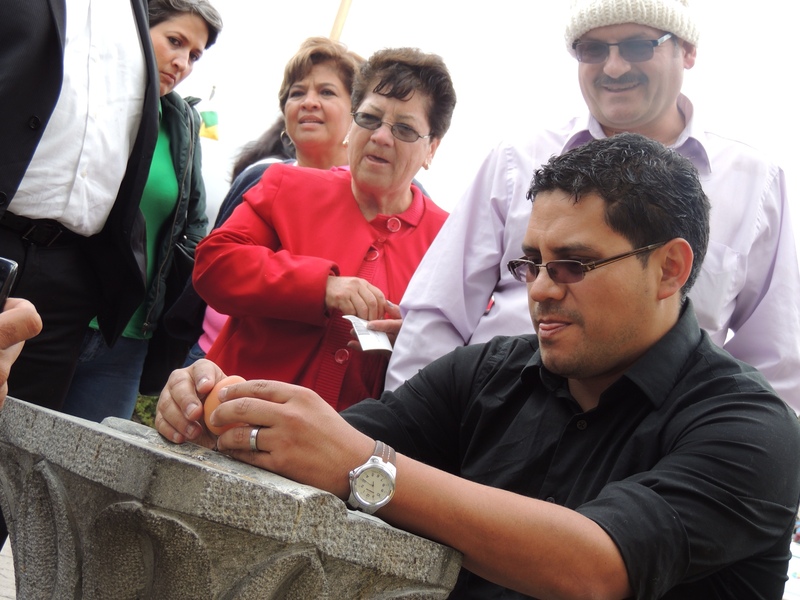 We watched a group of Venezuelans take part in a contest to balance an egg on its end – supposedly something only achievable near the equator (on more than one occasion, the egg won). Oh, and remember that episode of the Simpsons when Bart makes a reverse charge call to Australia to ask about the Coriolis Effect? Yeah, well, that's not true. Sorry. 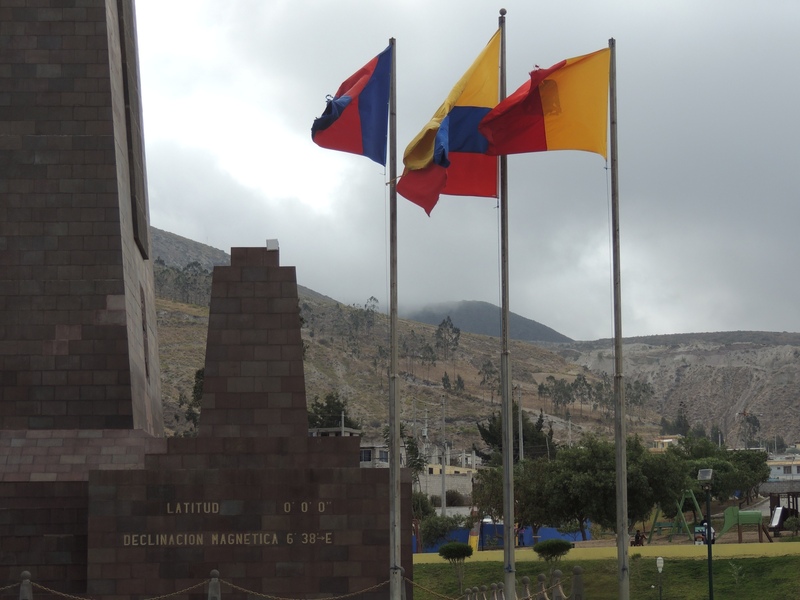 Budgeting for a day at Ciudad Mitad del Mundo is pretty easy. Public transport is 25c on the Metro, and then expect to pay another $2USD for the hour and a half ride out of town. Food isn't cheap – bring your own, and park entrance, museum and planetarium fees are listed here. Next I'm moving out of the city and into the heart of Ecuador's north, Otavalo, before crossing into Colombia. Keep an eye on the Facebook page or subscribe by entering your email address on the left of this page for pictures and notifications of new posts. Good to see all the nice looking women have got fed up of you. Joking aside, glad you have posted I’ve had nothing to read for a while!